Creating mobile apps are an art – an art of expression, an art of imagination, an art of compassion and an art of excellence. Nevertheless, still there happen to be many app developers writing native iOS or Android codes for app development. Are you in deep love with the platform specific programming language and tools, is it due to skill set issue, the need for an application or it is just an ignorance? Wake up! 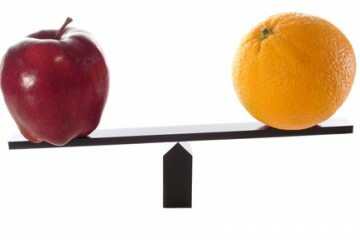 It is high time to re-evaluate your approach towards mobile app development. According to the mobile app download data, total mobile app downloads in 2012 were around 65 million; in 2016, it crossed the mark of 225 million downloads. 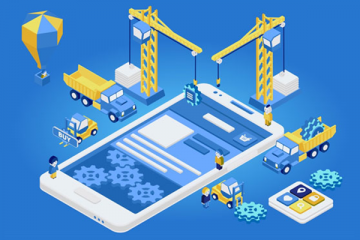 Due to the increased demand for mobile apps, the mobile app development industry is looking for new ways of delivering excellent mobile applications swiftly without compromising with the quality and outcome of the app. Native apps are platform specific, needing independent development for different platforms. For example, an iOS native mobile app is developed using Objective-C and XCode, whereas Android native apps are developed using Java and Eclipse. The optimised performance and the quality viewing experience are delivered by native apps due to the inbuilt features of the particular OS. Mobile app development companies looking out for options to develop crisp apps found solace in Cross-platform software, which offered a flexible, and an efficient alternative to the native apps. The journey of cross-platform app development started with Titanium and the PhoneGap surfaced. Eventually, so many web technology based frameworks came into existence and started serving to some extent. Unfortunately, these web technologies were cursed with severe limitations against object-oriented Objective-C and Java on Android. Inversely, Microsoft technologies were capable of delivering the same, but C# relieved everyone by meeting the expectations of app developers. Xamarin introduced in 2011 assuaged cross-platform mobile app developers, as people were willing to develop cross-platform mobile apps using Xamarin. Founded based on Mono, an open source realization of .NET Framework, Xamarin is an effective tool that seamlessly translates code written in C# into native codes for popular mobile platforms. Microsoft later acquired Xamarin on 24 February 2015 and later on confirmed its inclusion in Microsoft Visual Studio as an open source – no extra charge program. Being an open source platform of Microsoft any software development company like us, having a dynamic Microsoft development team will get licensed Xamarin version without additional charges as part of the Visual Studio Licensing. One of the major benefits of working with Xamarin is code sharing across apps (about 70% of the code running iOS, Android and Windows can be shared) saving money, time and efforts. The mobile DevOps support in Xamarin is helpful for developers to distribute the Beta version of the app, collect live crash reports, compile feedback from real users and analyze the test coverage area. With its Test Cloud feature; Xamarin, empower developers to run automated testing of the app on more than 2000 devices. 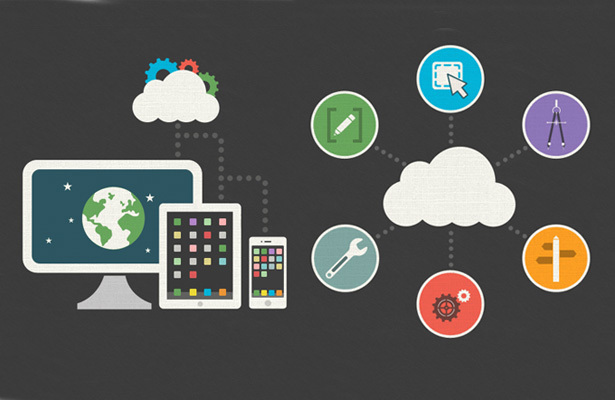 Additionally, post-development it helps in building, testing and monitoring a mobile app in the cloud. By using Xamarin.Forms Library, it becomes easier to create and render the native UI using native controls of independent mobile platforms. Based on C# and complemented with the .NET Framework, Xamarin is relatively easy to create mobile apps for different platforms. About 96% of the source code can be reused resulting in speeding up of the engineering cycle. No need to switch between development environments as it works with both Xamarin IDE (for Mac) and Visual Studio (for Windows). The quality of support provided by both the IDE’s is subsequently enhanced after Microsoft acquired Xamarin and integrated it with Visual Studio. All the cross-platform development tools are provided as built-in features without needing you to pay any extra charges. 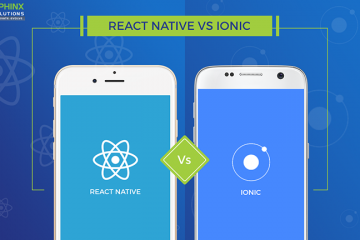 The traditional hybrid solutions that are based on web technologies failed to provide native performance from the app, which is precisely provided by the Xamarin. The performance metrics offered by apps developed using Xamarin is perfectly the same of what is provided by Java in Android and Objective-C or Swift in iOS mobile app development. By offering an effective environment to build, test, monitor and improve the app performance right from the start, Xamarin ensures ubiquitous and unprecedented app performance. 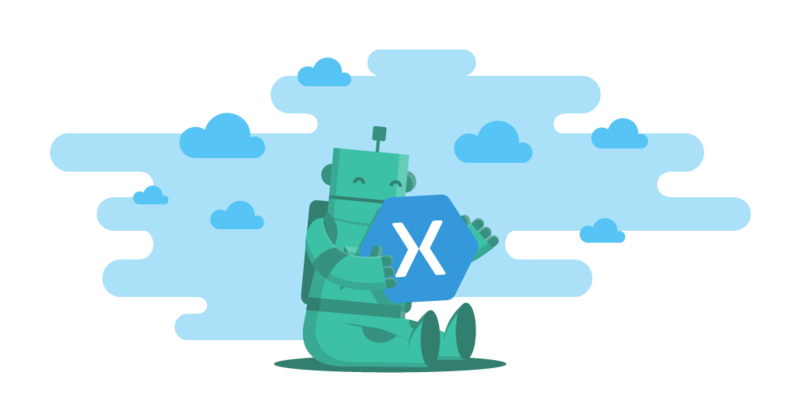 Due to the valuable pairing of Xamarin Test Cloud with the Xamarin Test Recorder Tool, you get a complete, versatile solution to test and track the app performance. Mobile app developers are able to create a flawless user experience due to the platform-specific UI interface in the Xamarin. The app UI components are converted into platform-specific interface elements at run-time using Xamarin.Forms Tool, which is a better option to develop simple iOS, Android, and Windows mobile apps. The XamariN.Forms Tools significantly increases the app development speed, thereby making it a great option to execute business-oriented projects. Sometimes the app performance developed in Xamarin might show declined performance, which is due to the extra abstraction layer. In such circumstances, developers are provided with an option to use Xamarin.iOS and Xamarin.Android for achieving excellent results. Xamarin is a complete cross-platform app development package that has eliminated all the hardware compatibility issues with the use of specific APIs and Plugins. This enables Xamarin apps to work with the common device functionality across all platforms and extend a fully native app functionality. The app database supports access to platform-specific APIs and linking to native libraries for better customization and enhanced native app functionality with minimum operating cost. Although, Xamarin claims to provide same-day support, expect some delays from Xamarin to support for the latest iOS, Android releases. After all, you need to have some time at hand to implement the changes and/or introduce new plugins. If native app development makes aggressive use of open source technologies, you just have to depend on the platform specific components along with DotNet open source resources available for both users and consumers. ON the contrary, thousands of custom UI controls, various charts, graphs, themes, and other powerful features are available as Xamarin components to be added in an app in few clicks. Such components include Beacons and wearables integration, Built-in payment processing (such as Stripe); innovative push notification services, enhanced capabilities for multimedia streaming, solutions related to cloud storage and much more. Xamarin is a new technology made available for cross-platform app development; it has a significantly smaller developer community, which makes it hard to find an experienced and hard skilled Xamarin developer. Although Microsoft is fueling the efforts to enhance the community strength, it is only about 10% of the total mobile app development community. Nevertheless, the smaller Xamarin developer community offers extensive support to its developers. Xamarin University is a dedicated educational platform that offers many resources and helpful training to the new engineers joining this community. Although sufficient basic facts related to Xamarin are provided in the blog, pros and cons mentioned here can be considered as collateral damage. Due to the code sharing, use of single technology stacks, efficiency, native-like app performance, reduce the engineering cost and time to market, many entrepreneurs and startups chose Xamarin mobile app development platform. Based on our experience, it is better to consider Xamarin for the development of enterprise mobile solutions. Only 5 to 10% effort is needed by developers to customize the platform due to standard UI covering 90% of the projects along with the convenient functionality to share all the core product logic easily. If you plan to develop a consumer-facing app having arduous UI, then the amount of shared code is drastically reduced, wherein Xamarin cross-platform mobile app development fails to render its major benefit; equaling the time and cost required to develop a native app. TupperClub offers you the chance to meet with some friends in groups and organize to eat every day cooking only one dish per person and week. After cooking each member his recipe, the tuppers are shared among all group so everyone has a different dish for every day. This way, each member of the group has to cook only once a week of saving time. Sounds good…right. The Kiloss app helps you plan your diet individually. You can plan your Kiloss days according to your personal needs. The app shows you your successes. With Kiloss, you will lose weight and save a lot of time and money. The Kiloss app also includes a drinking reminder. Seekmi’s mobile application helps Indonesians save time and money! Thousands of Indonesians have already used Seekmi to hire AC technicians, personal trainers, handymen, cooking lesson instructors, and everything else. Seekmi allows Indonesians to order over 500 different services, all in one app! What is your biggest challenge in selecting a platform to develop an App, share your questions below, we will try to share the best solution of your specific need?